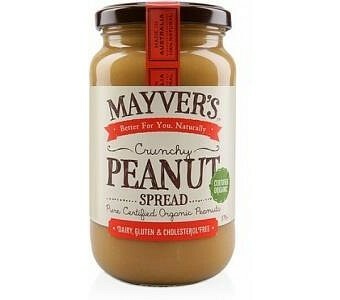 Mayver’s Organic Crunchy Peanut Spread is made from only certified organic peanuts in their pure unadultered state. Contrast to many other peanut butter products on the market, Mayver’s Smooth Peanut Spread is certified organic with no added salt, sugar, oil, or hardened fats. Their certified organic peanuts are hand picked, then lightly roasted and stone ground to give a smooth and naturally sweet tasting butter.